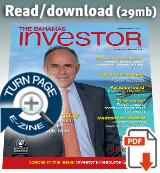 Minister for Grand Bahama Michael Darville said November 6 that the planned Bahamas International Investment and Business Forum slated for February 20-21, 2013, on Grand Bahama is testament to the government’s commitment to the island. Minister Darville’s comments came during a press conference at the Grand Lucayan Resort to launch the upcoming forum. The conference is sponsored by the Grand Bahama Port Authority (GPA), the Commonwealth Business Council (CBC), the Bahamas government and members of the business community. Minister Darville was joined by Minister of State for Investment in the Office of the Prime Minister Khaalis Rolle, GPA chairman Ian Fair, CBC’s director general and chief executive officer Peter Longsworth, president of the Bahamas Chamber of Commerce Chester Cooper and its CEO Winston Rolle. Darville told the gathering that, as Minister for Grand Bahama, it is his mandate to promote the advancement of the island as a tourism and industrial centre. “I am particularly pleased that this forum will take place on our beautiful island, which is strategically located in a free trade zone and positioned as an enviable transshipment hub in the Western Hemisphere,” he said. He also told the gathering that the country’s stability and economic success relies heavily on the synergistic efforts of the private and governmental sectors in developing the key areas of tourism, financial services and the maritime industry. The formal launch of The Bahamas Business and Investment Conference Tuesday signaled the beginning of branding The Bahamas as a destination for foreign direct investment. 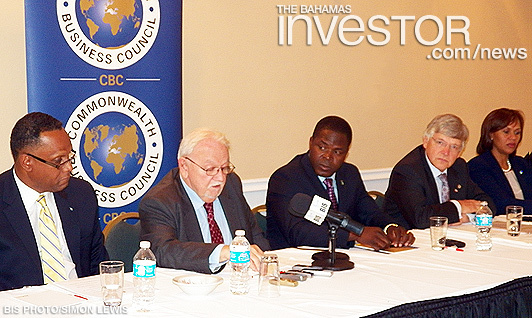 The conference is sponsored by the Grand Bahama Port Authority, the Commonwealth Business Council, the Bahamas government and members of the business community, and is set for February 2013. Speaking at the event was Minister of State for Investments Khaalis Rolle (pictured).